Thank you!! 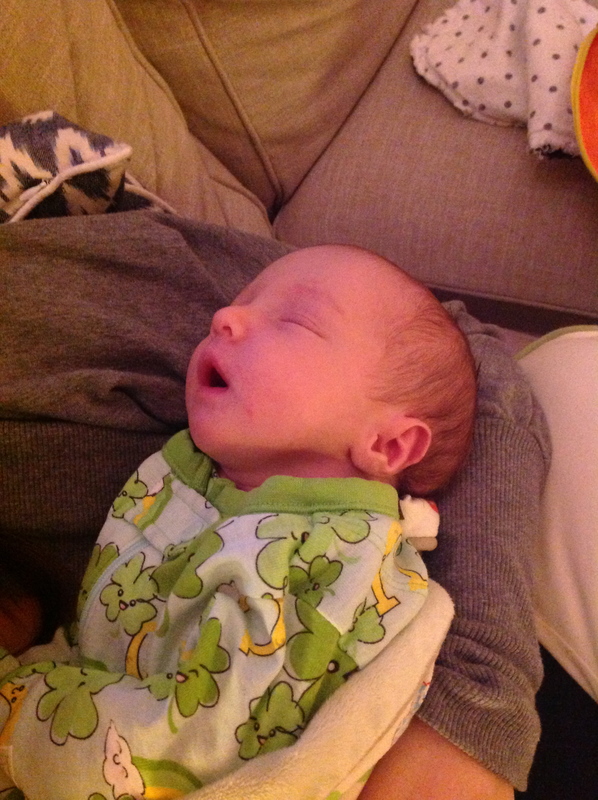 Nothing like a new baby to make one smile! Congratulations!! I’m sure little Aida will have a lot of beautiful dresses and clothing sewn lovingly by grandma! 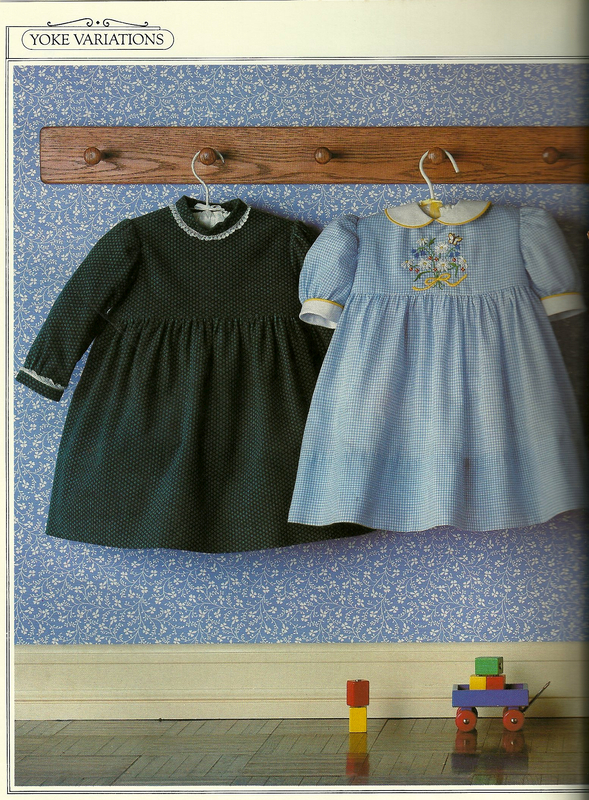 I was so sure that this baby was going to be a boy, that I hadn’t really thought about little dresses. But what fun little dresses will be! Aw, congratulations, she is adorable! And, she is so lucky to have you as her gramma, she’s going to get so many new outfits! Thank you! Yes, I think Aida will have lots of hand-sewn clothes (her Mommy sews, too!). What a lucky little girl to have a grandma like you! Congratulations to you and your daughter! Thank you, Brooke! You’ll have to pass on some of the ideas you’ve used with your niece! What a delightful post. Thanks for sharing your lovely news. Thank you! It’s lovely to have such good news to share! Thank you so much! Can’t wait for those tea parties and doll fashion shows! Thank you, Sarah! That is pretty funny, isn’t it – taking a sewing book to the hospital?? And yes – this will be fun! What happy news! Congratulations! 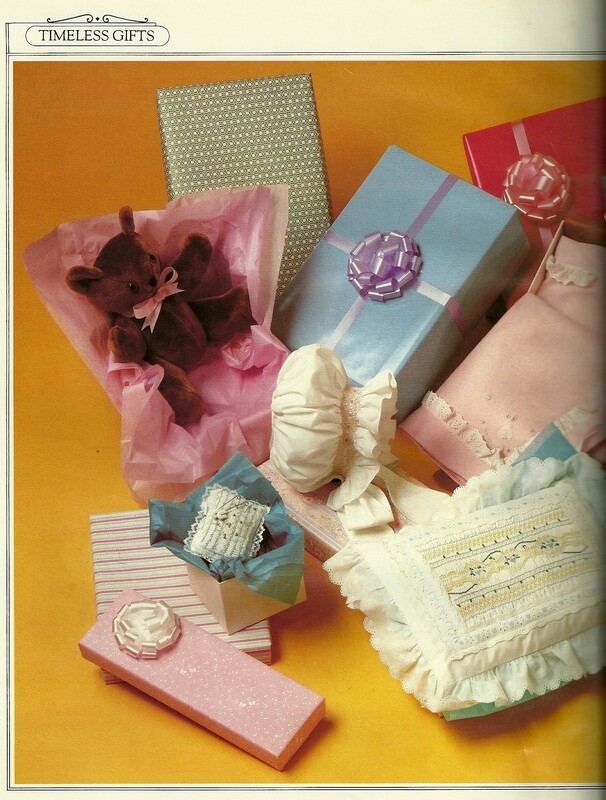 Discovered at library and purchased used, “Baby Crafts, A Treasury of Gifts from the Heart” by Marsha Evans Moore, Sedgewood Press, 1988. Author is Pratt Institute grad. All projects are fabric. Hats, shoes, dolls and teddy bears with their own clothes. Patchwork balls, alphabet blocks, growth charts. Some projects for early sewing lessons? Thank you, Carol! And thank you for the suggestion of another great resource! I remember being in awe of my grandmother’s little sewing room, so hopefully Aida will like mine as well! So happy for you, Karen. There is nothing so special as your daughter’s first baby! Such happy times ahead of you. 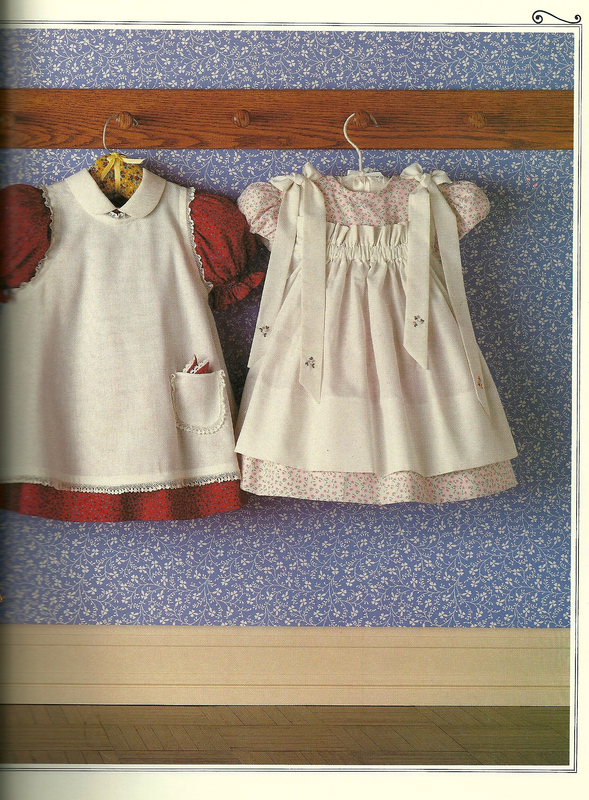 I have sewn children’s clothes for decades and there are some great patterns out there now. 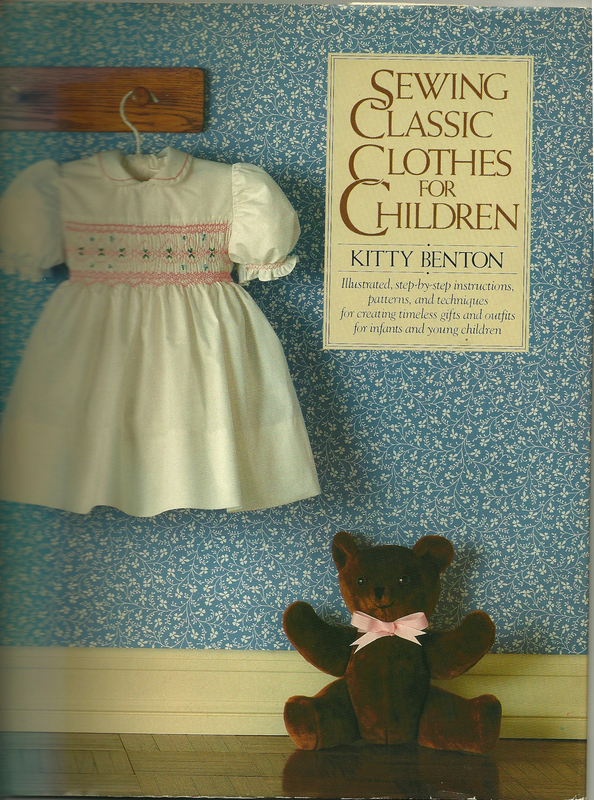 (I, too, have the old Kitty Benton book!) 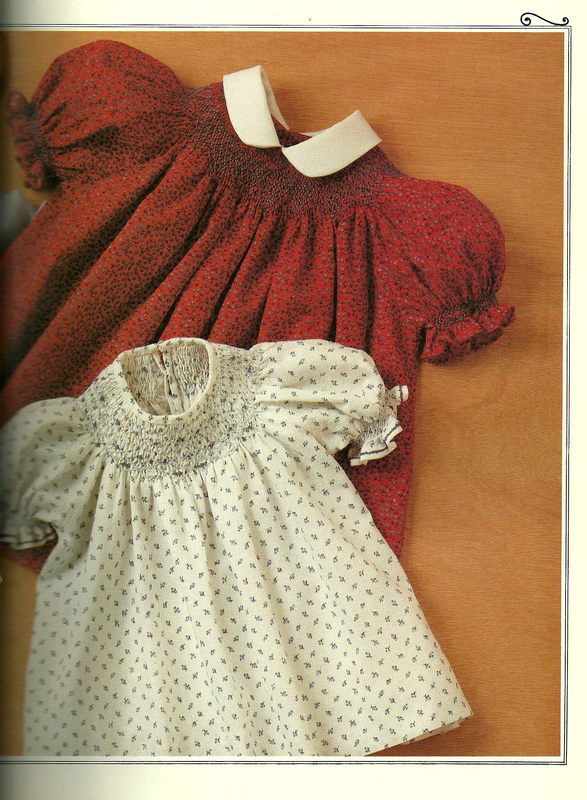 Old Fashioned Baby patterns are my favorites for the early months and years. Check them out! They fit, the proportions are excellent, and they are very classic and timeless! Thank you, Cissie! I will definitely check out those patterns – your encouragement is contagious! So beautiful! Congratulations to you and your family. Now get busy sewing! Thank you, Lizzie. If you know how to make a day have more sewing hours, let me know – I’m going to need them! Great post Mom! I’ll never be able to thank you enough for everything you did for us and for me. Hopefully I can be half as good a Mom to Aida as you are to me. I love you! 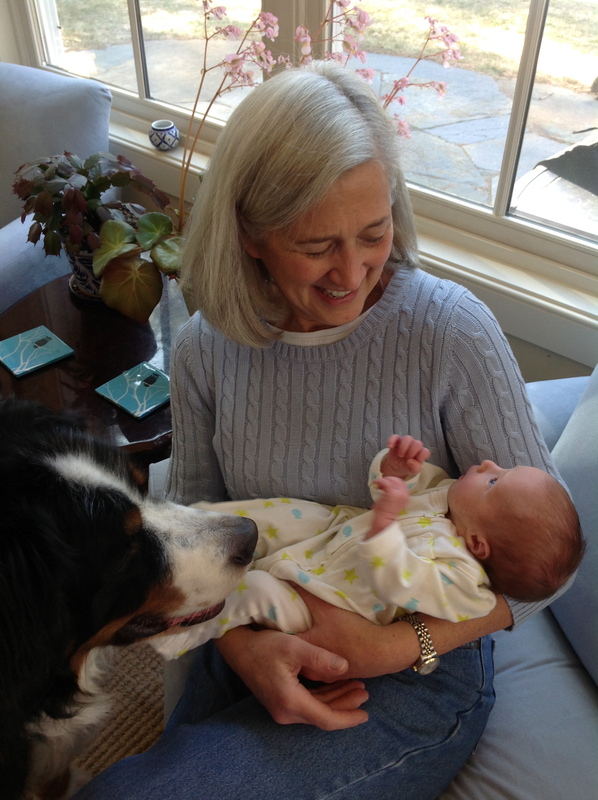 Aida is one lucky little girl to have you and Jon as parents (and Porter for family dog!). What a great adventure this all is – I love you, too, my dearest daughter! Congratulations on the birth our your dear little granddaughter, Aida! She will be the best dressed little girl around if her grandmother has anything to do with it. What adorable dresses in your book. Will look forward to seeing Aida in some of them in the future. Thank you, Mary! This is going to be great fun – for me and hopefully for Aida, too! Thank you so much for your kind words about my blog. I am excited for you as you begin your sewing Odyssey with a new machine! I hope sewing adds as much to your life as it has to mine over the years. I look forward to hearing from you again!